One of the most frustrating conversations, is the one where ideas cannot be discussed, as someone brings a point which is unquestionable, and absolutely right. What is right? What is wrong? That is where normally the conversation ends. But in a wrong way. Who we are, is heavily influenced by nature, nurture, and culture, but I am quite certain that my father’s nurturing has strongly shaped a contradictory and defensive attitude of self-righteousness in me, when confronted with…self-righteousness and authoritarianism. Throughout life I have fought hard when I met people like that, and committed to never surrender to them. I have not always been able to persuade and convince people, and for that sometimes I have broken relationships, being it of work or personal nature. I assure you that it took a long time, and the hardest way, to learn that there is a mid-point, where I could find peace with accepting people and ideas I cannot change, instead of feeling that their loyalty to omnipotence is my failure. Provided we are not talking about unfair, illegal, immoral and criminal treatment, I have learned to accept that people have the right to be wrong; according to my definition of wrong. Just like me, nature and nurture also helped shaping who they are. We can meet as people, and respect each other, beyond our differences. I chose a quote from Rumi, an Iranian and Persian poet, because he beautifully expresses what I meant. Below you can read about him. Who is Rumi? Jane Ciabattari explains his enduring influence. “The ecstatic poems of Jalal ad-Din Muhammad Rumi, a Persian poet and Sufi master born 807 years ago in 1207, have sold millions of copies in recent years, making him the most popular poet in the US. Globally, his fans are legion. “He’s this compelling figure in all cultures,” says Brad Gooch, who is writing a biography of Rumi to follow his critically acclaimed books on Frank O’Hara and Flannery O’Connor. “The map of Rumi’s life covers 2,500 miles,” says Gooch, who has traveled from Rumi’s birthplace in Vakhsh, a small village in what is now Tajikistan, to Samarkand in Uzbekistan, to Iran and to Syria, where Rumi studied at Damascus and Aleppo in his twenties. His final stop was Konya, in Turkey, where Rumi spent the last 50 years of his life. Today Rumi’s tomb draws reverent followers and heads of state each year for a whirling dervish ceremony on 17 December, the anniversary of his death. During these years, Rumi incorporated poetry, music and dance into religious practice. “Rumi would whirl while he was meditating and while composing poetry, which he dictated,” said Gooch. “That was codified after his death into elegant meditative dance.” Or, as Rumi wrote, in Ghazal 2,351: “I used to recite prayers. Now I recite rhymes and poems and songs.” Why does Rumi’s work endure? It is already Thursday but I’m joining Silver Threading Writer’s Quote Wednesday Event. I liked the example you gave from your life. “strongly shaped a contradictory and defensive attitude of self-righteousness in me, when confronted with…self-righteousness and authoritarianism.” Boy, do I ever identify with that. I am not argumentative for the most part until I am told that someone’s opinion, belief, faith is the truth. Beautiful post. Thank You. Excellent post. Your description of your Father reminds me of my Mother who often adopted an equally encouraging approach to a young and questioning mind. Not. The methodology doesn’t work for inquisitive minds. I had a thought when you noted the way you approach people who show signs of your fathers visceral values, I think that may be the wrong way maybe I mean to say character. I just thought how amazing we are as people. We learn from our parents and pick and choose what we believe to be the best of them and build our own beliefs. I always thought that we followed what we knew but its clear hear that we always choose who we are so be it from our learning experiences but as those change every day so do we. First of all, thanks for commenting. I appreciate it very much. You brought in a very good point. I think that as we develop and mature, we are able to separate what we learned from parents, from what we want to be. Of course we are heavily influenced by our childhood role models, and parents play a strong role there. But as we evolve throughout life, we should always remember that the choices are ours, for what we want to be, and to not blame our parents for our behaviors. And yes, I agree, we change from our learning experiences. That’s sweet! I agree with you. Thank you Lucile for sharing about Rumi. I have heard his name before, but did not know anything about him. You are welcome, Carl. I came across him only this week on the culture site of BBC. I’ve known Rumi and his works but never knew the whole story… I really appreciate this post! really a great post, the bio about rumi is fascinating! there’s something more than admirable about people changing directions later in life. also my post from today, Drink Up, touches on ‘the truth’ in a different way but i think our points are similar. Thanks, mac. Will head to your blog to read it. Beautiful. 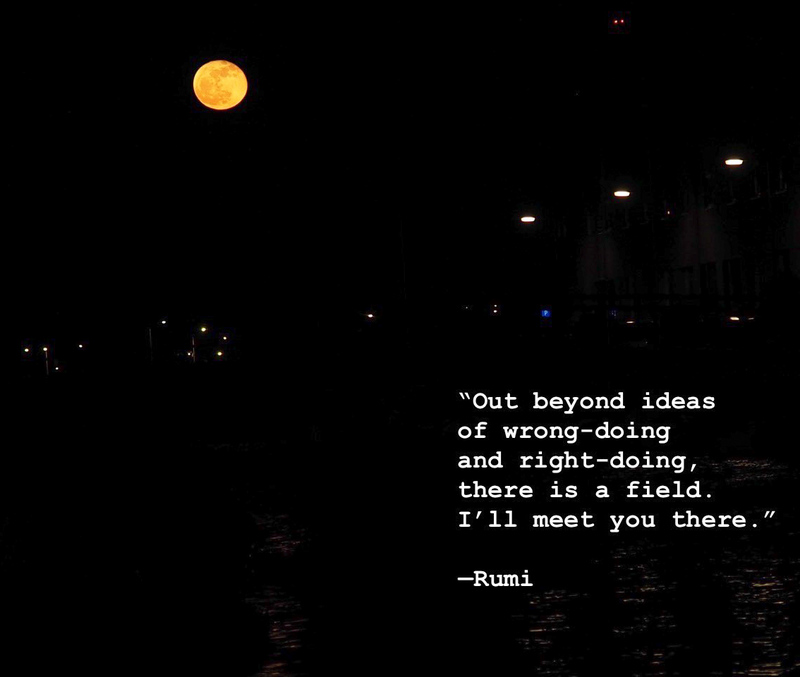 Can’t go wrong with Rumi. Let’s assume that you and I are lightweights of the gang, as we cannot top Mara and DJ! oh gosh yes the chocolate, i have a few of those now hehe…grinzzz wickely!!! We will be up all night!! !